What are some foods that represent Korea? There's kimchi, bulgogi, bibimbap...but how about KFC - Korean Fried Chicken? Korean fried chicken is not just regular fried chicken you have tried before. It's fried chicken miracle. Korean fried chicken is crunchier, juicier and more creatively seasoned than any other chicken could hope to be. Some of the most popular seasonings for KFC are soy sauce and garlic, but the quintessential flavor is the sweet and spicy magic coating called "yangnyum." The popularity of the mash-up of fried chicken (chi) and beer (maekju), known as “Chimaek“, has boomed in recent years, fueled by its appearance in the TV show "My Love from the Stars." This combination that has been a staple of Korean dining as Korean fried chicken proved itself to be the best beer buddy in this planet. These days, most are small franchises that deliver to your door on a motorbike. And it's not unusual for there to be dozens of chicken joints in a single neighborhood. Unsurprisingly, the Korean Fried Chicken craze has spread to the Korean snack market. Ranging from chicken flavored chips to chicken flavored ramen, it's amazing to see the varieties of snacks that come in Korean fried chicken flavor. 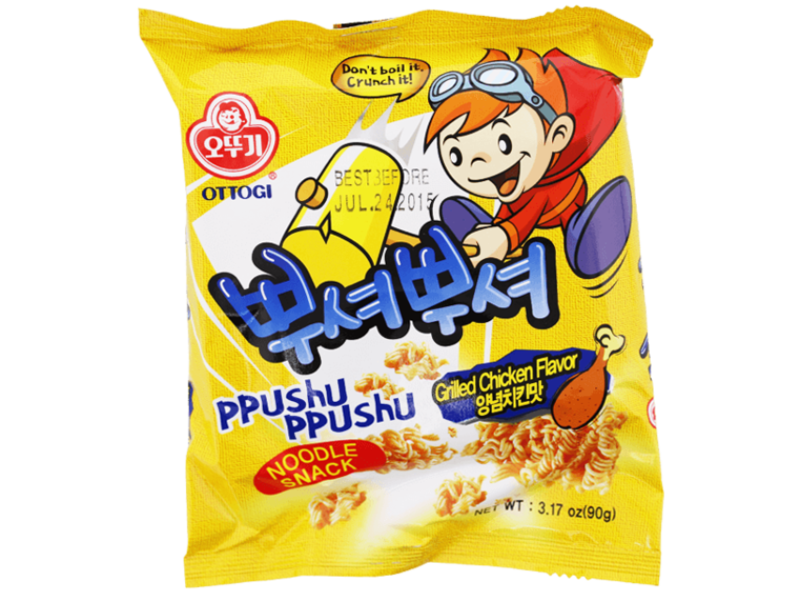 Here are some of the most loved Korean fried chicken flavored snacks.